DS Moonglow, Fr. Utramarine and Potters Pink on 6×6″ 140 lb. watercolor paper. 3 May, 2013. Finally! After a month of creating Kaguya’s Gift, my International Fake Journal Month fake journal, I was anxious to splash around color without a plan. More of that needed, although I enjoyed the journal immensely and am already scheming plots and materials for next year’s fake journal. This entry was posted on May 5, 2013 by Rebecca Reinhart. 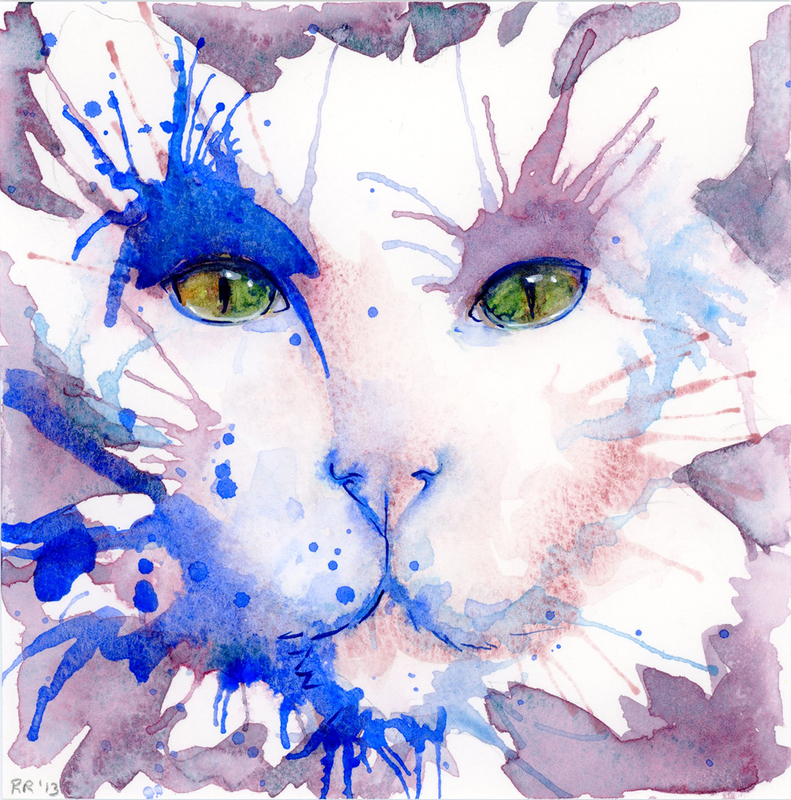 It was filed under art journals, paintings, portraits, sketches, watercolor, watercolor sketches and was tagged with arts, cats, daniel smith watercolors, illustration, watercolor paintings, watercolor sketches, watercolors.